My friend, Dana Ryan Perez, invited me over for a book making play date. 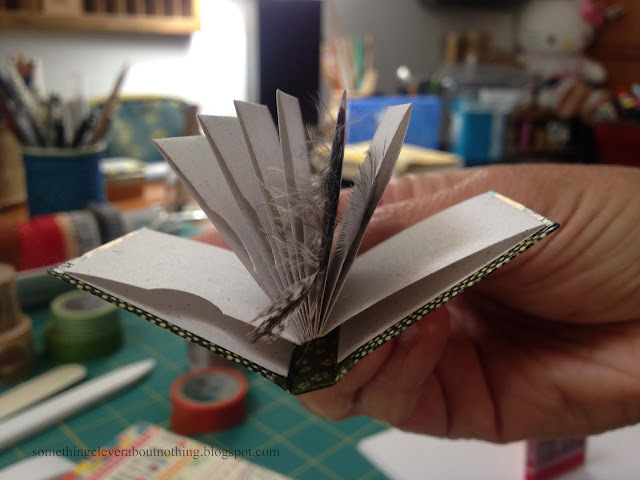 Dana was an environmental scientist (before it was cool) and is now a talented book maker and mixed media artist. 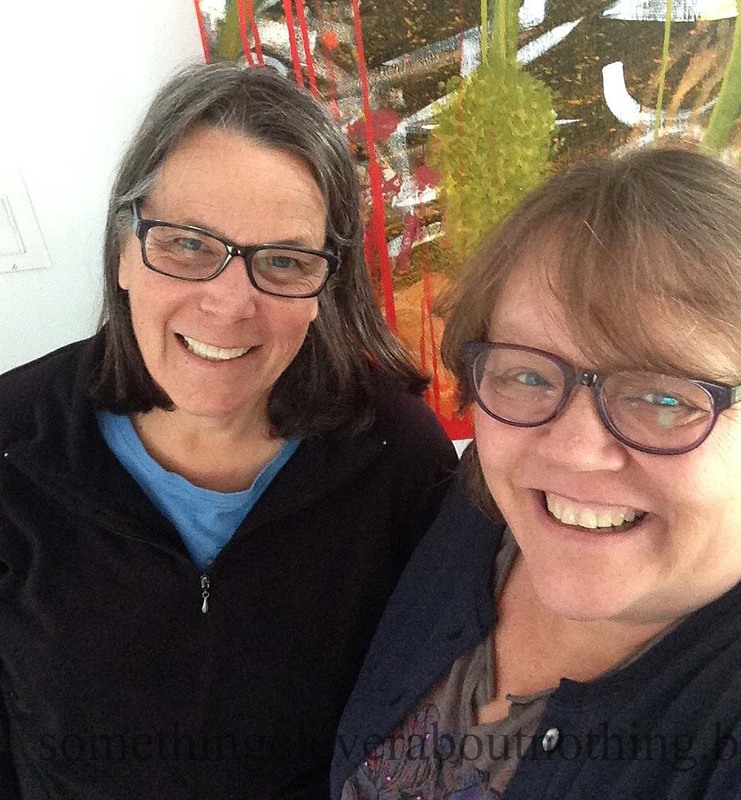 Dana and I in front of her son's fabulous painting. 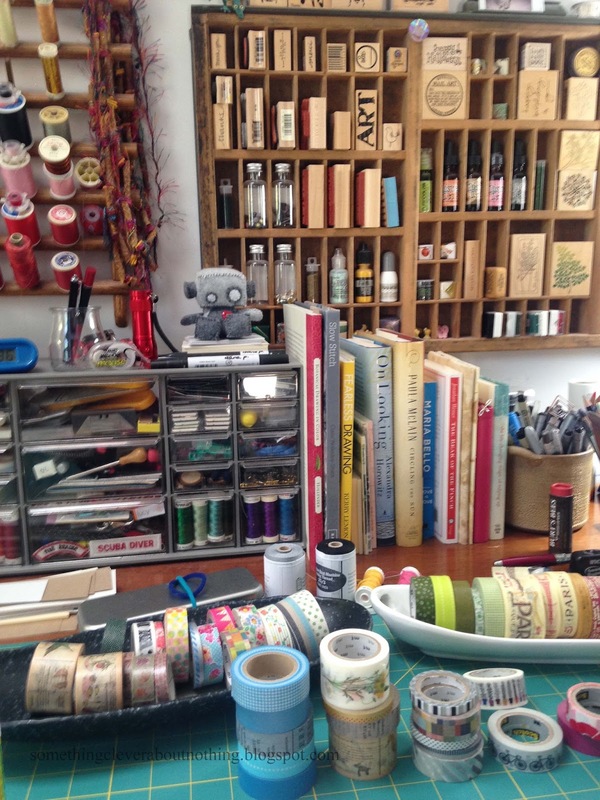 Her studio was beautiful! Lots of skylights for wonderful lighting but I was more focused on the scene below. Her father was a printer and the printing drawer on the wall was his. 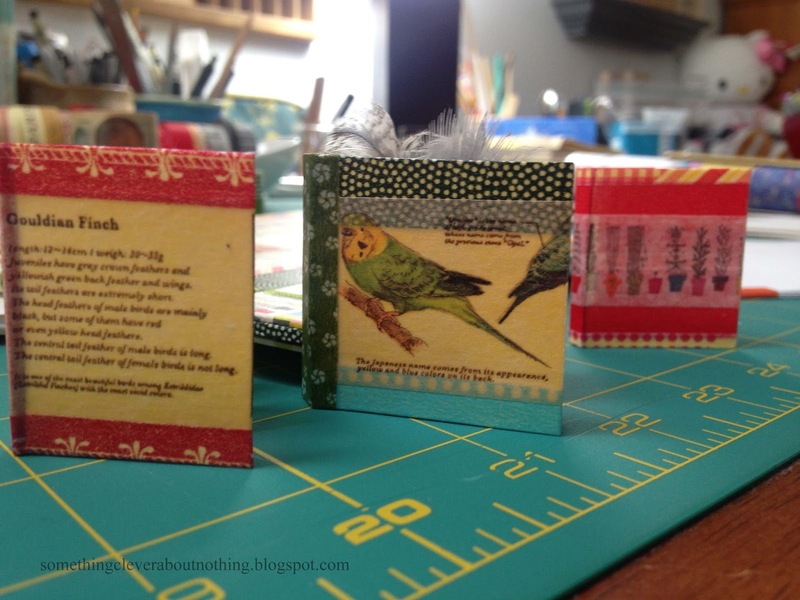 Dana has been making these adorable little Washi tape covered books. The measurements on the mat give you an idea of how small they are. 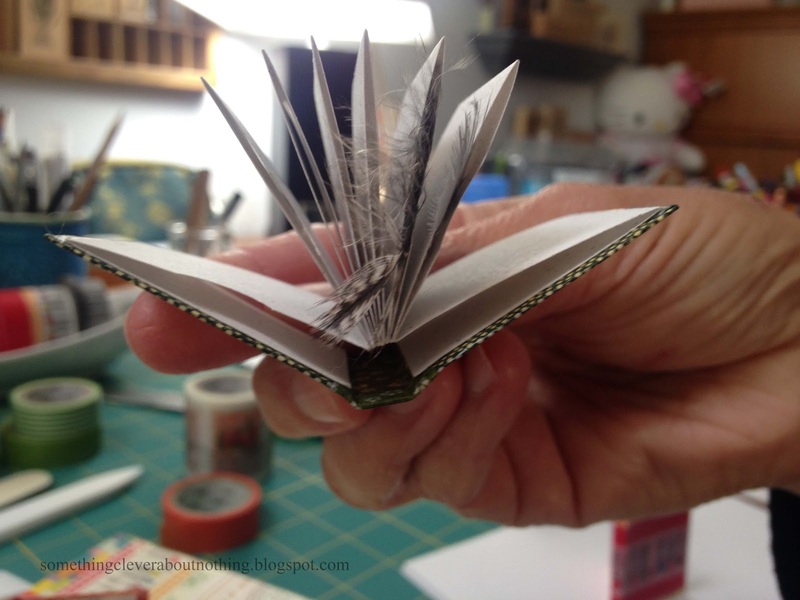 The book in the middle was created with little pockets to store feather treasures in. Dana said she finds herself collecting them from the park and golf course where she jogs in the mornings. 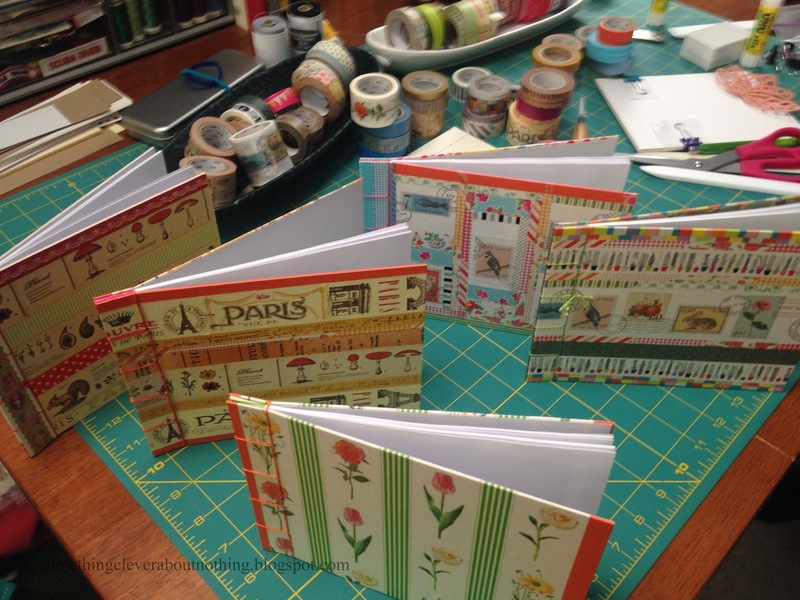 The books at the bottom of this photo were created by Dana in preparation for a class she and another friend, Toni, taught to the Utah Surface Design Group while I was out of town last month. 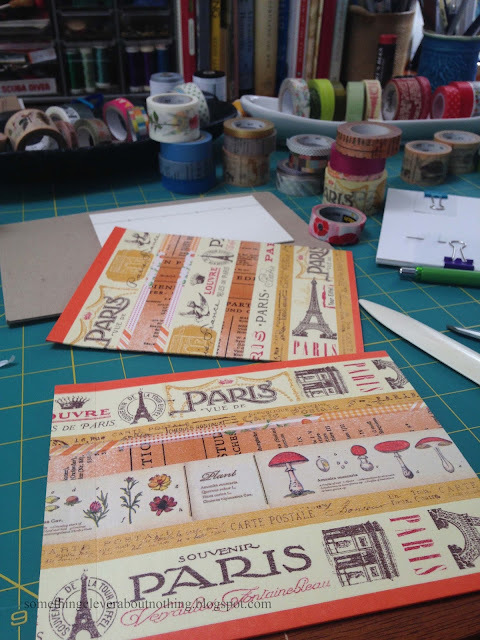 I was drawn to the Paris Washi tapes. I took a lot of time deciding just which tapes to put next to each other, probably a lot more time than I needed to, but it was a lot of fun, and all that extra time gave Dana and I more time to visit. 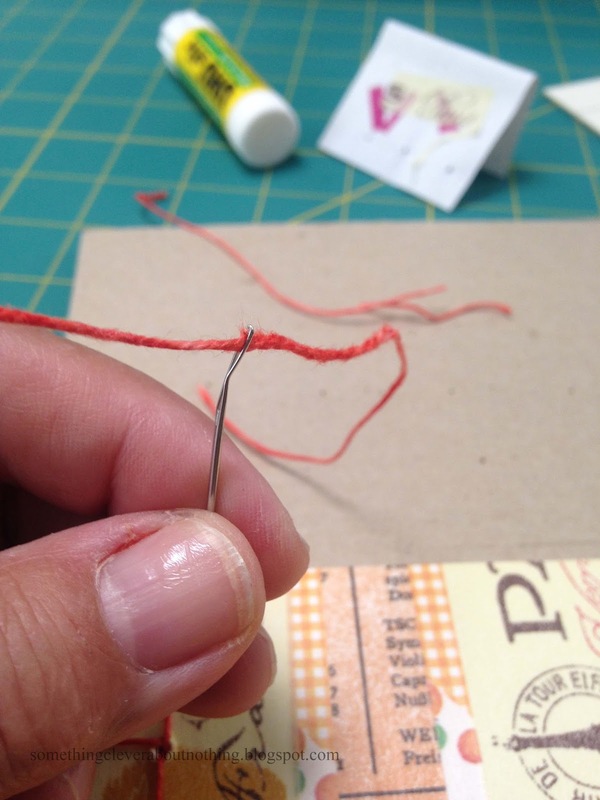 After putting the tape on, I stitched my book together with hand dyed linen thread. I bend my hand needles on a regular basis. Too strong for my own good? 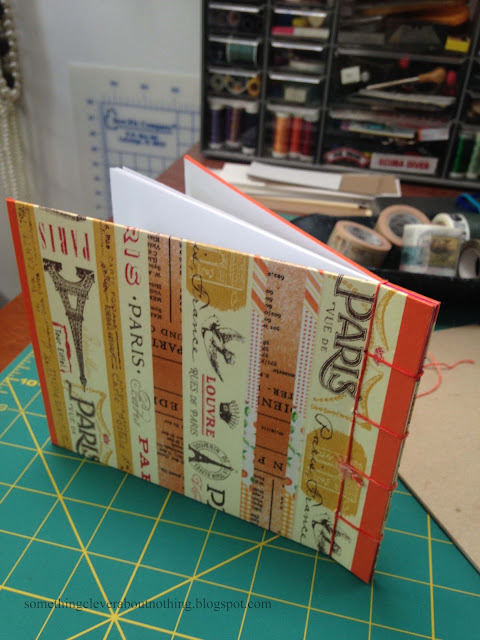 And here is my book with the other books Dana created. I will be making more of these books. 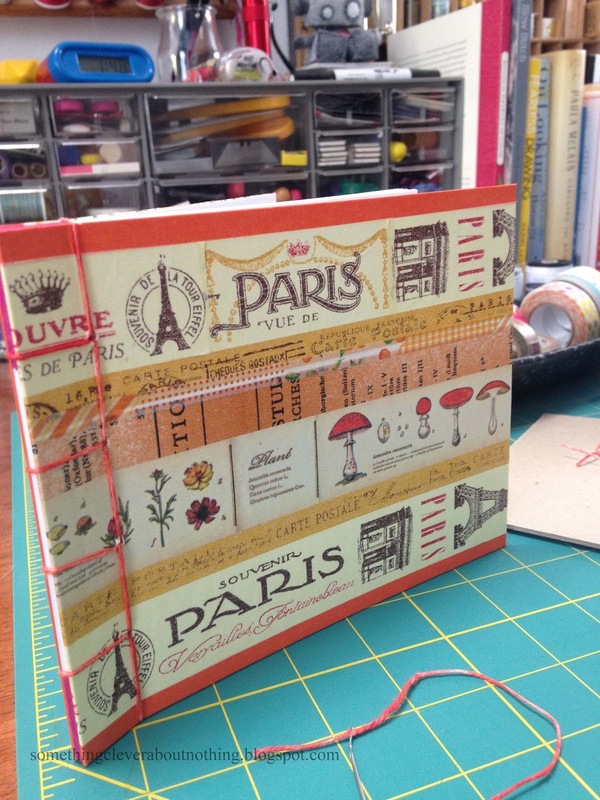 Book making is so fun! 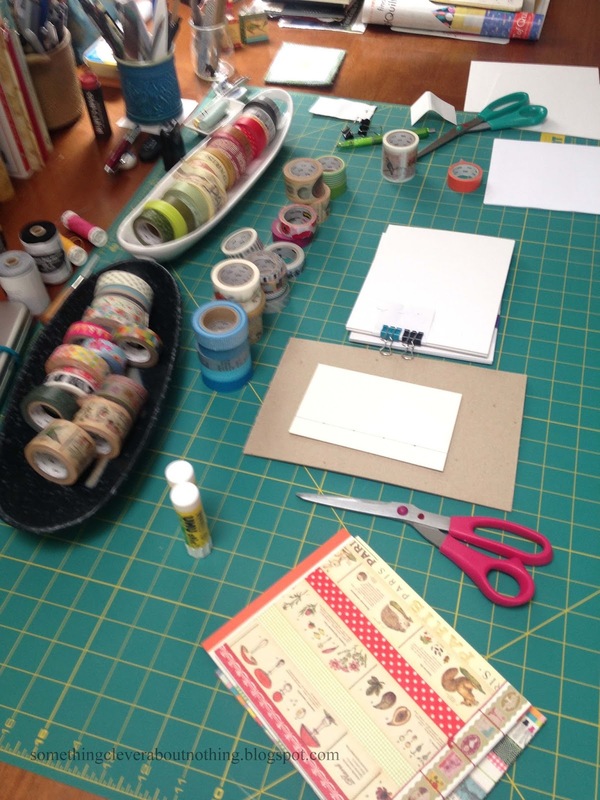 Hurrah for art play dates! so cool!!!! Love Dana's shelf!! !